Here’s a list of previous and current HEF programs. Take our poll to let us know which has been your favorite to date! New and innovative after-school programs are around the corner. To be announced. For the 2015-16 school year, HEF is funding a portion of new Lego NXT kits that will increase students’ understanding of the latest robotics technology—and keep our teams competitive in the NJ First Lego League Robotics Competition, held each November at Pascack Hills High School. 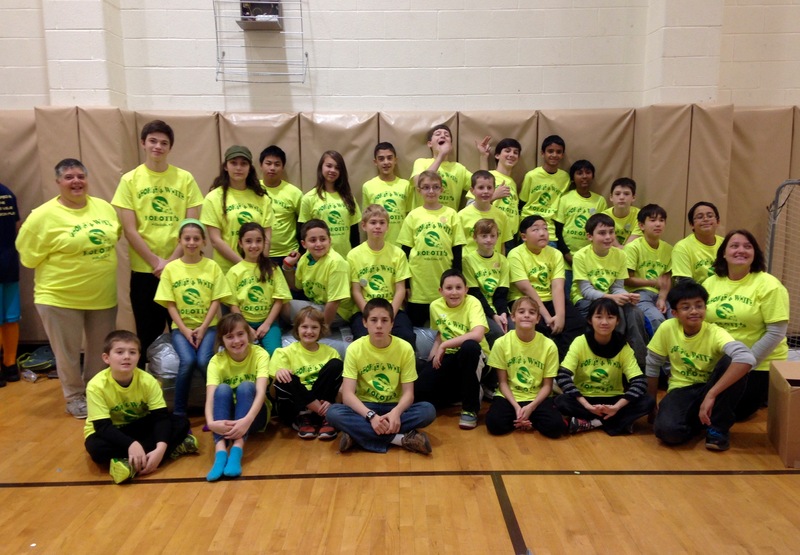 HEF congratulates the 2014-15 George White Robotics teams on a successful season! 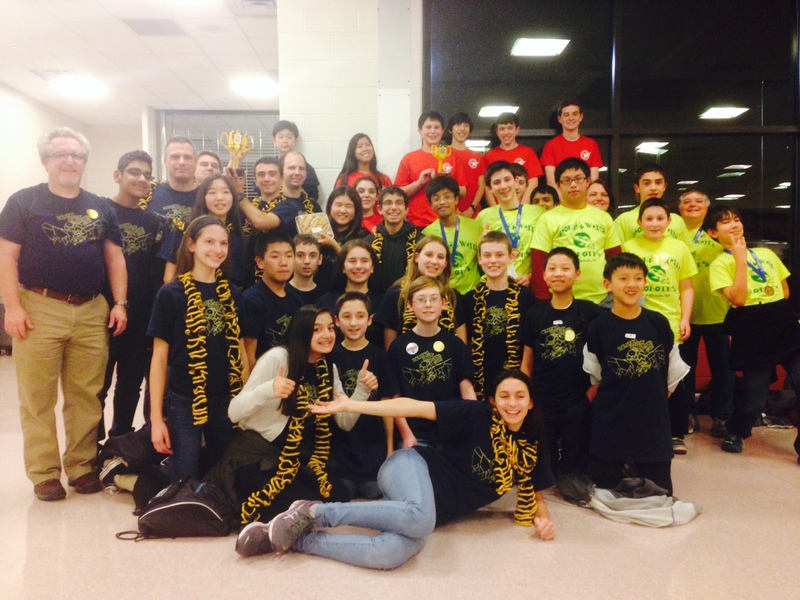 At the Pascack Hills Competition this year, the teams competed in categories including the project, FLL core values, robot design and robot game. The “Techno Hackers” impressed the judges with their knowledge of core values and excellent team work. “Team CyberPhoenix” blew the judges away with their unique and inventive design. And “The Falafel Waffles” were granted the Judge’s Award for their clear demonstration of Gracious Professionalism, by helping other teams perfect their robots. The Falafel Waffles also did well in all catagories and advanced to the state finals in Mt. Olive, New Jersey. The first session of Project Science is in full swing! 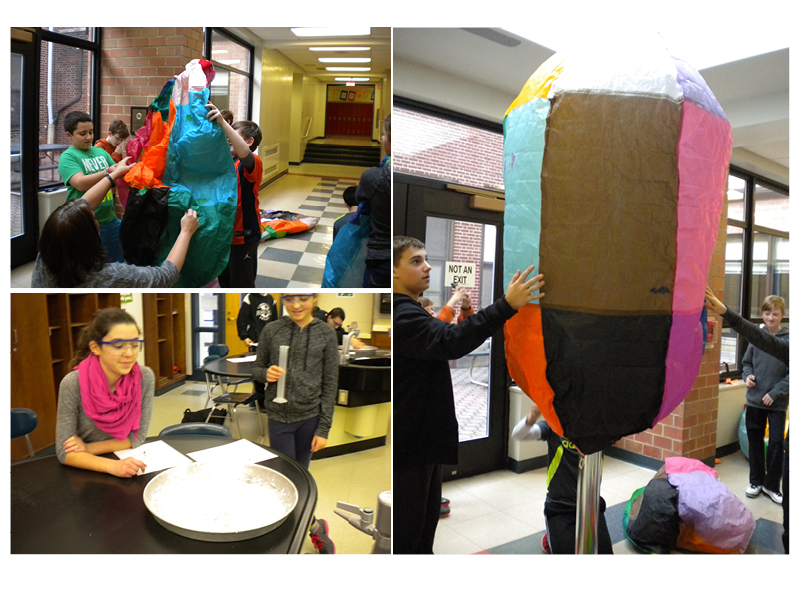 Embarking on a journey of scientific exploration with Ms. Douglass and Ms. Cannella, the group’s first project was the construction of “Hot Air Balloons” and was a smashing success. These sixteen students—ranging from grades 5-8—are now researching their own individual project ideas and have begun to conduct experiments and gather data. They will hold their own Science Fair to present their discoveries. Hands-on experiments help K-8 students at all three schools relate science, math, and technological concepts to the weather in their own town! Sensors capture live, local weather data, which are then integrated into classroom learning. This highly interactive program supports learning through live data collection, and reinforces science, math, writing, and media skills. Ms. Santos, the Librarian at George G. White School, attended a course to discover the optimal use of PCs in the classroom, and then extended that training to other teachers in the school. Now in its fourth year at George G. White School, this popular reading program brings fifth- and sixth-grade students to compete with their peers among area and county schools. George White has quickly become the powerhouse team! Under the guidance of Ms. Ives, students will be able to apply their horticultural skills to the care and maintenance of the George White Courtyard Garden, creating a relaxing, environment to be enjoyed for years to come. With Ms. Killeen’s inspiration, K-8 students at all three public schools gained free access for a full year—including summertime reading—to hundreds of books from the TumbleBooks and TumbleCloud Jr. libraries, using any device with Internet access. This extremely popular and innovative program returned to Smith School, with Ms. Oliff leading the teachers in bringing Betty G. Birney’s The World According to Humphrey to all Smith students and their families for at-home group reading. So successful that HEF brought it back for a second year. Ms. Lang brought kindergartners and first graders on an early literacy adventure with in-class software that teaches phonics, reading, and comprehension skills through more than 80 books and companion games. At George White, Ms. Belhumer, Ms. Lavigne and Ms. Santos led interested 5th and 6th graders into the Battle of the Books. A lunchtime reading club turned into a great team competition among area and county schools. In May 2013, this nationally renowned children’s author brought history to life with illustration and characters during eight grade-specific presentations. HEF funded the purchase of 15 Sony Voice Recorders that allow students to record and hear themselves speaking Spanish and Italian, adding a whole new dimension to the language classes of Ms. Vaile, Ms. Calafiore and Ms. Bustamante. HEF purchased Force Probe and Motion Sensor Kits for the science classes of Ms. Douglass, Ms. Cannella and Mr. Walden, bringing 21st century techniques to learning physics. HEF purchased copies of The Cricket in Times Square for all students at Ann Blanche Smith School, for Ms. Oliff’s successful efforts in bringing reading to the whole family and reinforcing its importance at school. HEF continues its tradition of funding Mr. Abrey’s successful program teaching students to grow vegetables and flowers from seed, starting indoors and transplanting outside. Ms. Alderton brought the Panama Rainforest – and an onsite ecobiologist – to her second-graders through a live videoconference as part of Montclair State University’s PRISM program, preceded by a month of learning about ecology, climate, geography and culture. All fourth-grade students at both schools completed their virtual trip around the world with Toby and David, learning about geography, events, culture and life in Africa, the Mideast and Europe. In November 2012, HEF even brought the world travelers to each school, in person, to meet students for an entire day.